Perfect for antipasto platters, Picholines are green, torpedo-shaped olives that have a creamy nutty flavor. They’re great martini olives as well. 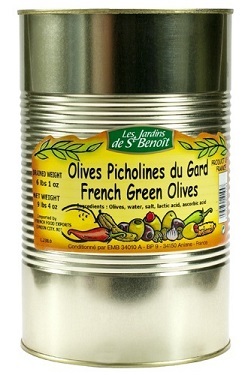 “Perfect for antipasto platters, Picholines are green, torpedo-shaped olives that have a creamy nutty flavor. They’re great martini olives as well.